The sacro occipital chiropractor technique in Lake Stevens was developed in the 1920s by Major Bertrand DeJarnette to correct alignment of the skull, pelvis, extremities, and organs over traditional spinal adjustment procedures at the time. 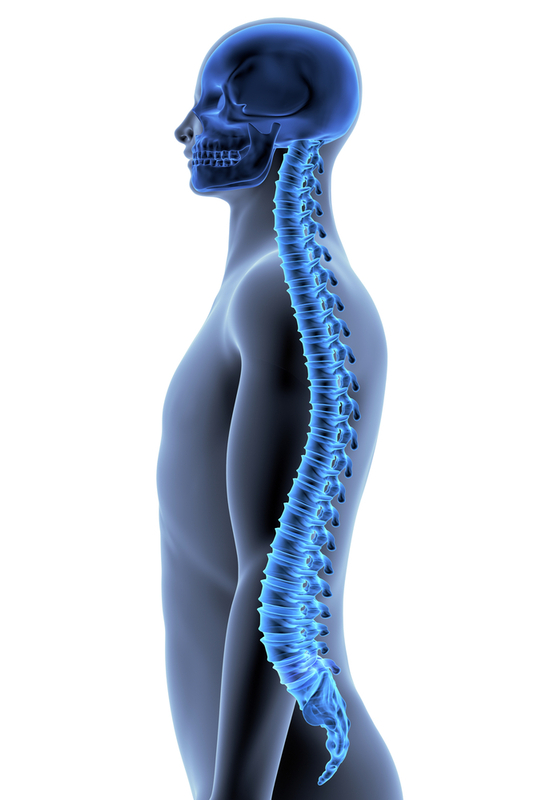 The SOT focuses on fine-tuning body patterns rather than specific body parts. Every adjustment made is determined by a particular signal or indicator to tell the chiropractor where the adjustment should be made and when. Dr. DeJarnette also discovered that sometimes spinal subluxation is not adequate and implemented visceral manipulation strategies. These procedures aid in normalizing organ function without resorting to medication or surgery. He also found that when the correction of the spinal subluxation was not enough, he devised visceral manipulation methods. These procedures help normalize organ function without the use of drugs or surgery. From the indicators present, a chiropractor decides on which adjustments are necessary at each visit and if adjustments made at prior appointments corrected issues or were useful to some degree. Because this technique relies heavily on body signals, precise adjustments are made without solely utilizing x-rays. SOT primarily deals with the cranial sacral respiratory system and manipulates the spinal cord and brain. Movements are subtle but essential for the normal function of these organs and the rest of the body. By using CMRT or chiropractic manipulative reflex techniques, your chiropractor can regulate organ functions and deal with problems like high blood pressure, headaches, urinary issues, dizziness, leg pain, female reproductive disorders, digestive problems, ear infections, TMJ, visual disturbances, and tinnitus. For additional information on the use and benefits of the sacro occipital chiropractor technique in Lake Stevens, contact the professionals at Johnston Chiropractic at (425) 334-1874. We will be happy to talk with you during a scheduled consultation at your convenience. While you may have experienced some obvious injuries like bruises, broken bones or lacerations, there may also be issues that are not immediately visible. Whiplash is a common result of an accident, but symptoms may not develop for several days and can be debilitating. Chiropractic care is non-invasive. Treatment involves realigning joints and the spine through manipulation to reduce pain and encourage healing without surgery. Spinal manipulation decreases inflammation and pain. Relief is virtually immediate, without the need for addictive costly medication that has unwelcome side effects. Chiropractic adjustments lessen the amount of scar tissue from internal muscle damage due to a car accident. Not only will you experience less pain in injured areas, but chiropractic manipulation also reduces pain all over the body. Massaging injured areas helps to restore range of motion and stimulates the healing process. Untreated minor wounds can lead to long-term problems if they are not taken care of quickly. Consult the professionals at Johnstone Chiropractic for advice and guidance about the best way to deal with your less-obvious injuries from a car crash. We have the necessary experience and training to help you overcome your pain. Contact us at (425) 334-1874 for a trusted auto accident chiropractor in Lake Stevens. Let us treat your injuries naturally, without resorting to surgery and damaging medication. Do you suffer from painful arthritis in one or more of your joints? While NSAIDs are an option for treatment, they do not always offer much relief. Prescription opioids have better results but are habit-forming and dangerous. Where do you turn to get a little respite from constant pain? Have you thought about consulting a chiropractor for arthritis in Lake Stevens? You may be surprised to learn that this may be able to help. For osteoarthritis in the neck and back, chiropractic adjustment and manipulation are quite safe and very effective. Individuals with rheumatoid arthritis, ankylosing spondylitis or psoriatic arthritis may not be the most ideal candidates for this therapy, as the inflammation involved requires special care. Discuss your medical condition with your chiropractor and undergo a thorough examination. Electrotherapy – Small, nonpainful electric impulses treat soft tissue injuries. Ultrasound – Sound waves “massage” specific areas to lessen stiffness and swelling and decrease pain. Infrared sauna – Heat-controlled rooms increase circulation and relieve pain. Cold laser or low-level laser – A non-heat-producing laser/light can reduce inflammation by penetrating deep into the tissues. By focusing on how the impacted joints work together, their structures and functions, chiropractors can help to alleviate pain and swelling by working with the tissues surrounding the joints. This may restore better function and a reduction in pain. To determine if a chiropractor for arthritis in Lake Stevens would benefit you and your arthritis problems, call Johnstone Chiropractic at (425) 334-1874. We will be happy to schedule you for a private consultation. We will work together to explore your options for treatment. It is not surprising that migraines are one of the most painful and frustrating health issues today. They always seem to occur at the most inconvenient time and can be debilitating, not only with severe head pain but light and sound sensitivity, nausea, and dizziness, too. Many individuals resort to “just waiting it out” or taking strong pain medication to try to alleviate symptoms. However, there is another option. Treatment by a chiropractor for migraines in Snohomish is showing some positive results for sufferers of this terrible ailment. With a migraine, the pain often starts in the neck. Duke University conducted a study that demonstrated that spinal adjustment or manipulation leaves individuals with almost immediate pain relief and offers longer-lasting relief and fewer side effects than prescribed medication. Many migraines are caused by subluxation or misalignment of the spine. This causes muscles and nerves in the area to inflame and become irritated. Chiropractic care corrects the misalignment, removing the pain, soreness, stiffness, and irritation that accompanies it. Not only do chiropractic adjustments reduce the severity of migraines, but regularly scheduled adjustments can lessen the frequency of the episodes. So many people sit all day in front of a screen of some type that the back and neck muscles are strained, leading to migraines and subluxations. 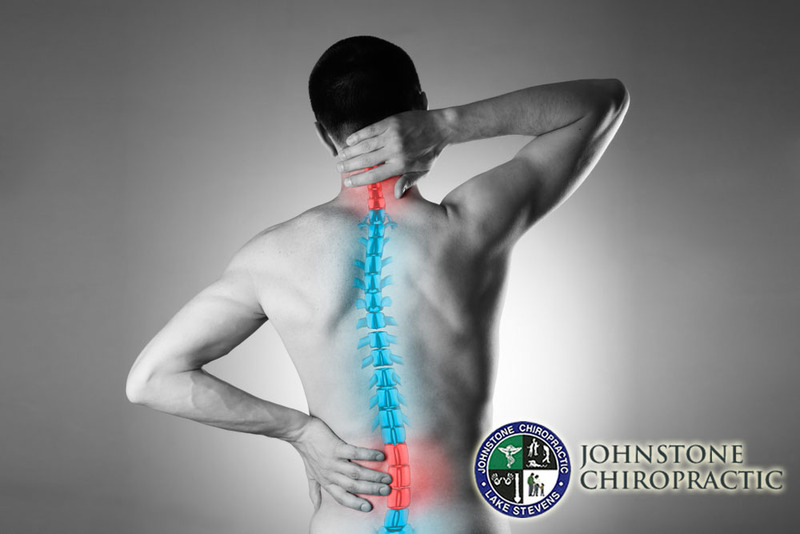 Talk with the team at Johnstone Chiropractic at (425) 334-1874 for an appointment. We have a chiropractor for migraines in Snohomish who is ready to help you relieve your suffering. Our staff will also offer guidance about your lifestyle and ways to help you maintain a healthy spine so that you can enjoy living your life more than you have in years! As is evidenced by the opioid epidemic in our country today, finding the right pain management protocol is not only essential but can be quite dangerous if not handled properly. Pharmaceuticals can do a lot to alleviate pain but come with side effects that include addiction and decreased effectiveness. There are pain management solutions that do not involve medication that has a high degree of success without unwanted side effects. Let’s explore the value of a chiropractor adjustment in Lake Stevens to handle pain. Regularly scheduled chiropractic sessions have an excellent track record for improving pressure in the spine and elsewhere on the body. The team at Johnstone Chiropractic will x-ray you and determine the source of your pain. Even if your discomfort is in another body part like your arm or leg, the underlying cause could mean that your spine is simply “out of whack.” Sometimes all that is needed is chiropractic manipulation to not only rid your body of pain but to aid in helping you perform better during the day and sleep better at night. Many patients experience so much relief that they can cancel a previously-scheduled surgery or stop taking pain medication. Dr. Jeremy Johnstone can remedy the situation in a much more cost-effective way that does not require invasive surgical methods or addictive prescriptions. Patients who have problems with colic, asthma, bedwetting and more can also benefit from chiropractic care. You can either visit the office today or give us a call at (425) 334-1874 to learn more or schedule an appointment for a private consultation. Dr. Johnstone and the team at Johnstone Chiropractic are ready to help you manage your pain effectively with experienced chiropractor adjustment in Lake Stevens. There are many reasons why someone would visit a chiropractor. After a car accident, a chiropractor can help provide relief and adjustments to free patients from pain. Those with fibromyalgia and other long-term painful conditions find pain relief in a chiropractor, and they often visit to avoid taking addictive medications, like opiates. However, there are other lesser-known reasons that patients visit chiropractors, and one of them is migraine relief. If you’ve been searching for a chiropractor for migraines in Lake Stevens, Johnstone Chiropractic is a perfect choice. Migraines can be absolutely debilitating, and can literally have patients on bed rest for days at a time. One of the few solutions to migraines is to take pharmaceuticals, and even then, sometimes they are not particularly effective. Medications also come with a host of side effects that many patients do not want to experiment with. The right chiropractor can help relieve migraines because he or she is well-versed in the anatomy of the upper neck. Just as with a sudden injury, like whiplash from a car accident, the chiropractor can use several different techniques to help relieve the stress on both the head and the neck. It’s important to note that the source of migraines doesn’t always come from the head – in fact, pain that causes migraines can radiate from several other areas in the body. There are a few different techniques that chiropractors and patients can try to help aid in migraine relief. If you’d like to hear more about them, and you’d like to make an appointment with a chiropractor for migraines in Lake Stevens, call Johnstone Chiropractic today at (425)334-1874. We’re here to help relieve your pain. When you have chronic back pain or other types of pain, it can often be tough to find the right solution to alleviate it. 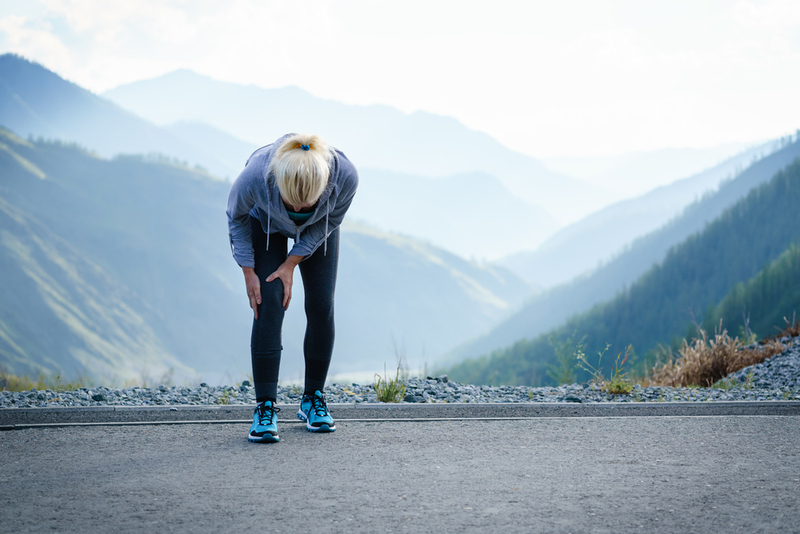 Diagnosing pain is a tricky thing for many doctors, and it’s common that patients get prescribed NSAIDs (nonsteroidal anti-inflammatory drugs) or opiates to help relieve many types of pain. While medication is helpful in some cases, the prescribing of it can also cause other problems, and sometimes it doesn’t completely heal the pain. An alternative to medication for many is regularly visiting a chiropractor. Depending on the nature of your pain, it can make a big difference when it comes to treatment. There is a special type of treatment known as activator adjustment. Chiropractors use a small, handheld instrument to help with the treatment of pain, especially back pain. If you’d like to hear more about an activator adjusting chiropractor in Lake Stevens, you’ve come to the right place with Johnstone Chiropractic. The instrument is referred to as Activator Adjustment, and chiropractors use it by delivering a gentle impulse force to the pain site. While it is an alternative to pain meds, the Activator is another alternative to a more invasive form of chiropractic treatment known as high velocity low amplitude (HVLA) thrust. This is a manual type of procedure, while the activator uses an instrument to help address the pain. One of the benefits of this device is its speed. It is completely painless, and is nearly immediately effective, so patient rarely even have a chance to tense up before the procedure is finished. To learn more about an activator adjusting chiropractor in Lake Stevens, call Johnstone Chiropractic today at (425)334-1874 to speak with a member of our professional staff. 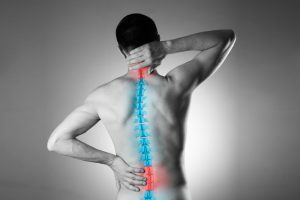 When it comes to pain, there are many techniques and methods that a chiropractor has at his or her disposal to help relieve pain in patients in the most natural of ways. Many patients come to a chiropractor in the first place because of chronic pain, whether it’s stemming from trauma, such as a motor vehicle accident, or they have a condition, like sciatica. Many experience mild to moderate chronic pain and don’t want to get stuck in the endless loop of opioid medications. There are many techniques to try, but if you’ve heard about activator chiropractor technique in Lake Stevens, Johnstone Chiropractic offers informed and professional patient care to help you feel better. The activator is actually a complete treatment system. Instead of the chiropractor using his or her hands only, this small, hand-held instrument helps relieve pain right at the source using an electrical impulse. It is a much less invasive tool to help with pain relief, as its counterpart is known as the high velocity low amplitude (HVLA) thrust. The activator is easier to use, is more comfortable to the patient, and provides equal pain relief. The small instrument is used by many chiropractors and is applied right at the source of the pain. The small impulse coming from the device helps to relieve the pain you’re experiencing, as well as the method of using the device (which our chiropractors are highly trained to do). If you’re interested in hearing more about activator chiropractor technique in Lake Stevens, or you want to hear about traditional chiropractic techniques or want to make an appointment for consultation, call Johnstone Chiropractic today at (425)334-1874 to speak with us today.